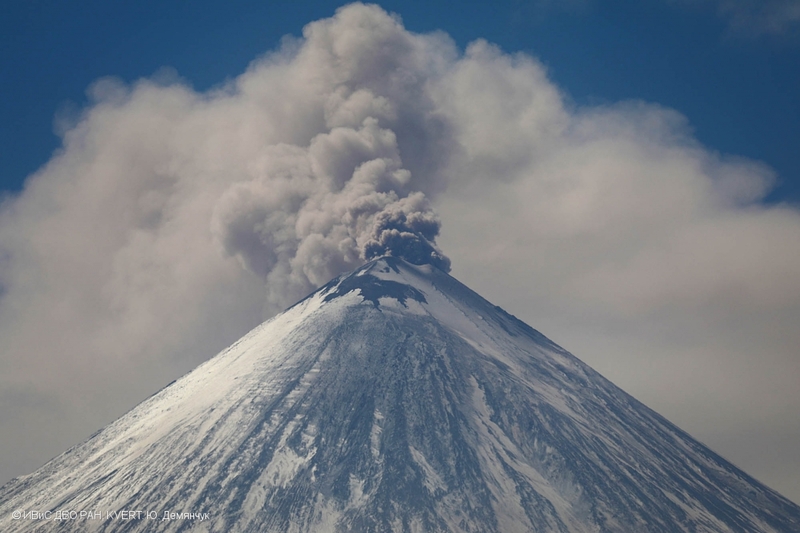 Fumarole activity of Kambalny volcano on 03 July, 2017. 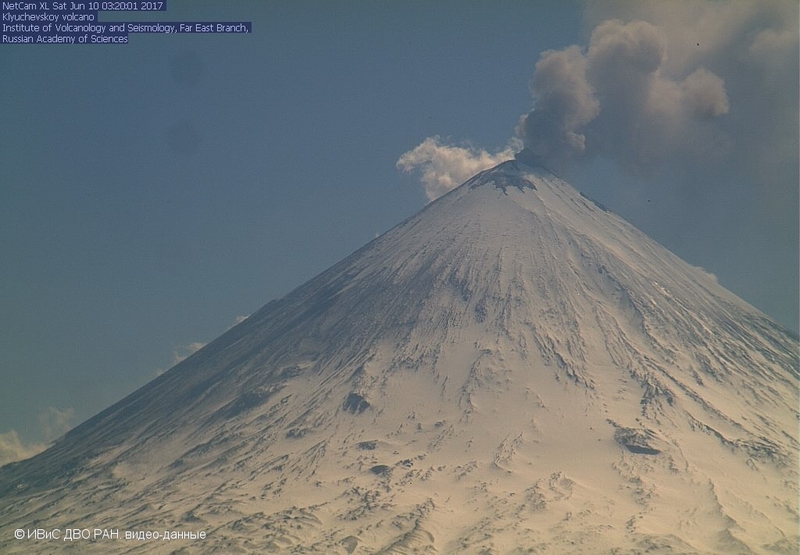 Beginning of ash explosions of Sheveluch volcano on 02 July, 2017. 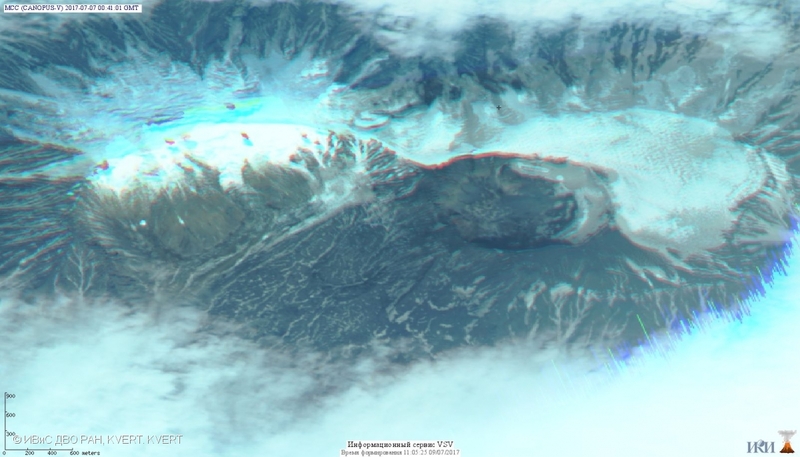 Crater of Sarychev Peak on 27 June, 2017. 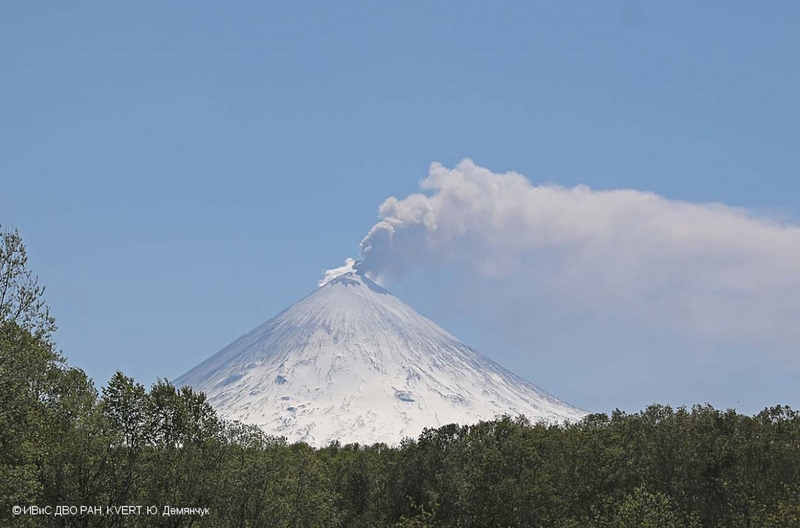 Beginning of ash explosions of Sheveluch volcano on 18 June, 2017. 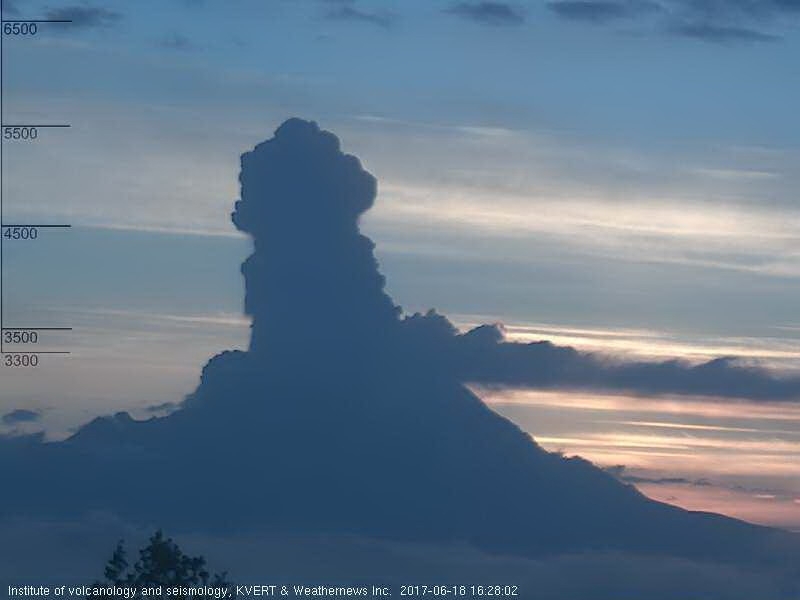 Author(s): videodata by KVERT & Weathernews Inc.
A strong gas-steam activity and an incandescence over the lava dome of Bezymianny volcano on 18 June 2017. 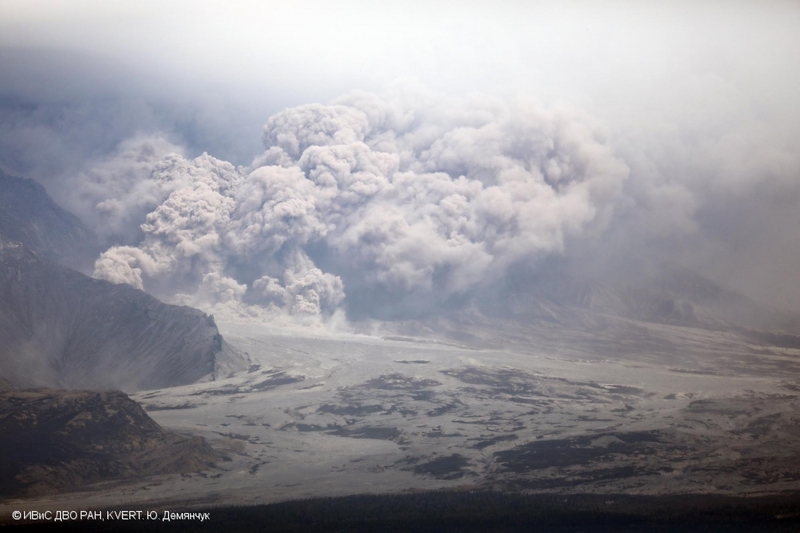 Ash burst from Active crater of Ebeko volcano on 17 June, 2017. 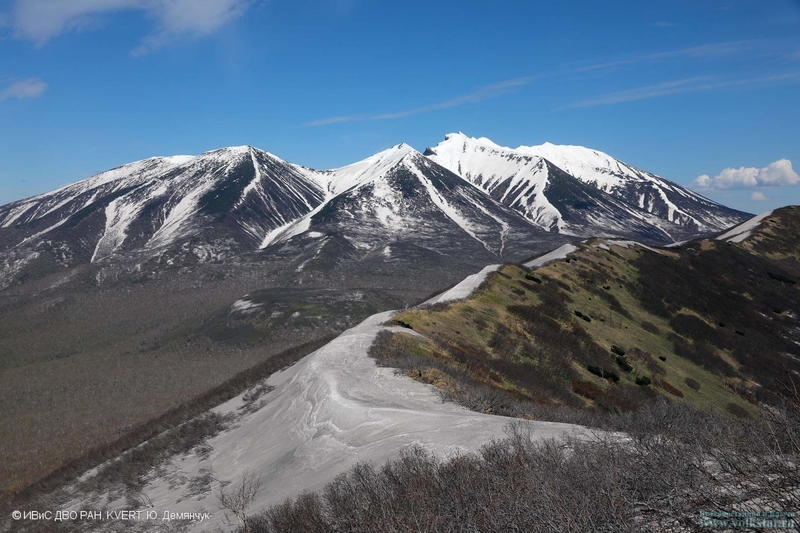 Kharchinsky volcano, view from Zarechny volcano slope. 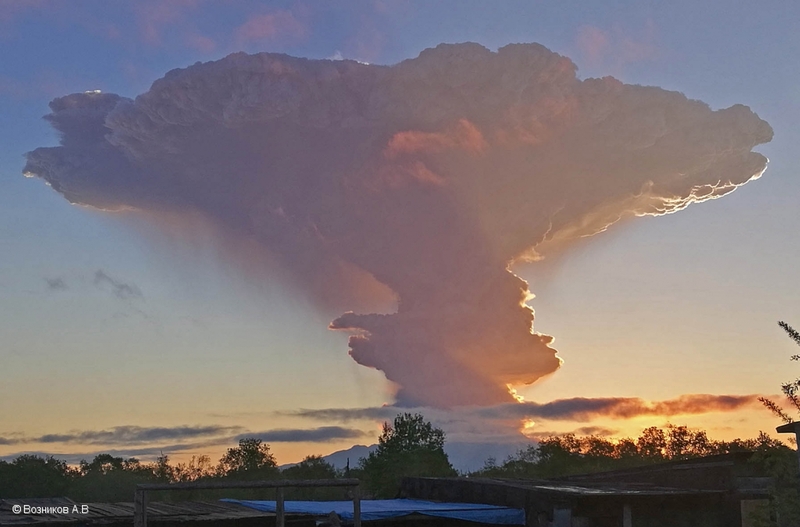 Ash cloud for about 250 km from Bezymianny volcano on 16 June, 2017. 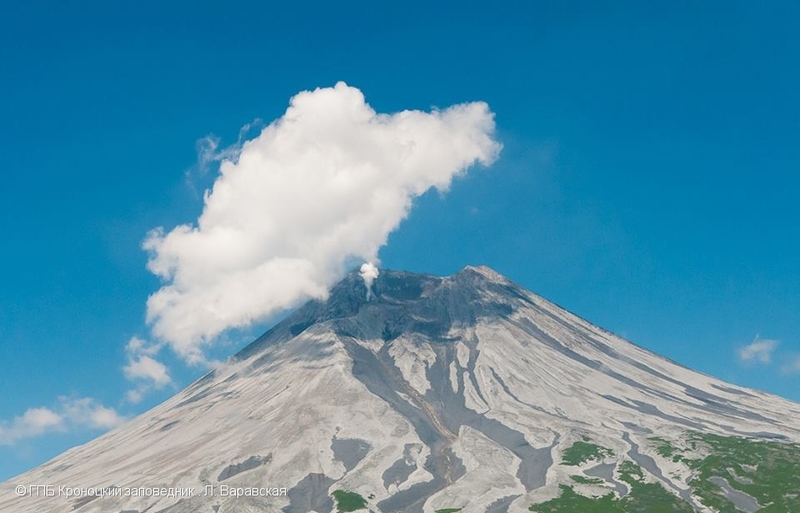 Ash deposits in the area of Karymsky volcano on 16 June, 2017. 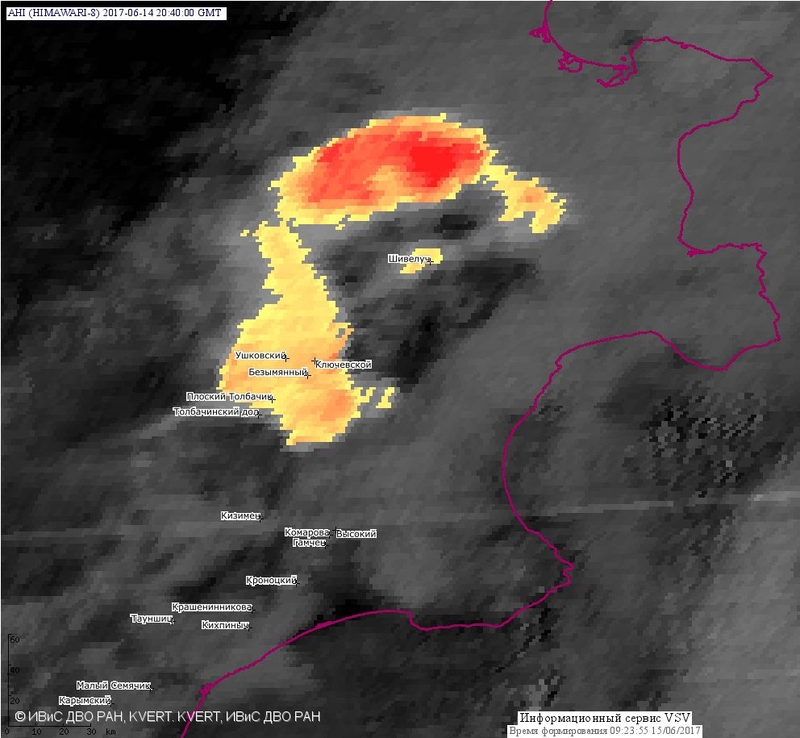 Ash cloud of Sheveluch volcano at 2040 UTC on 14 June 2017. 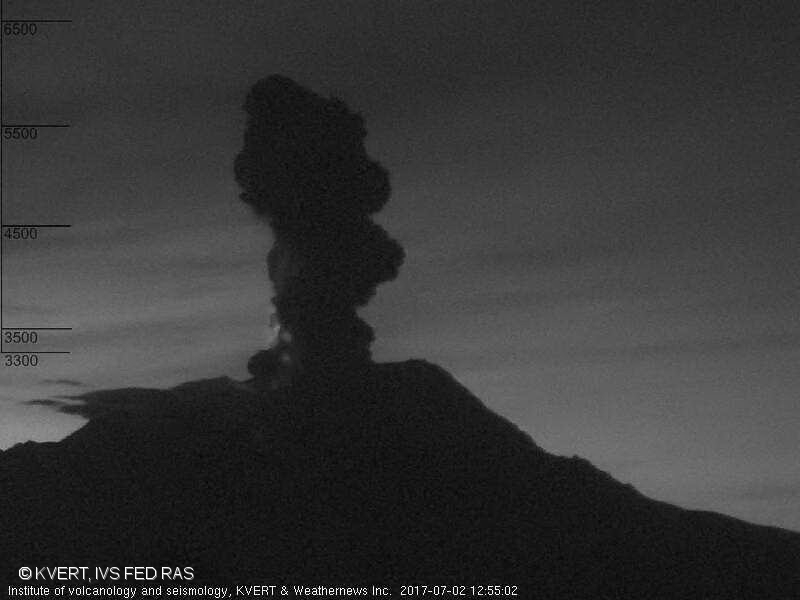 Eruption began from 1635 UTC on 14 June 2017. 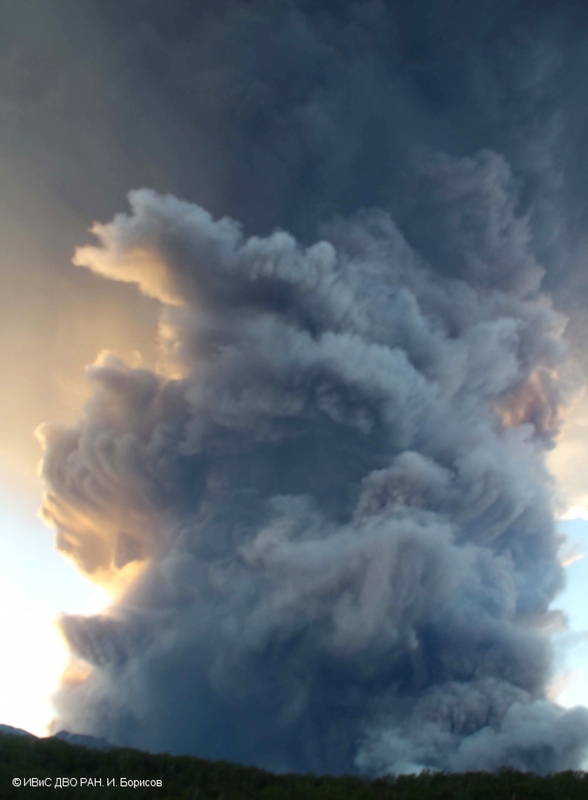 A large content of ash particles is noting of red color. 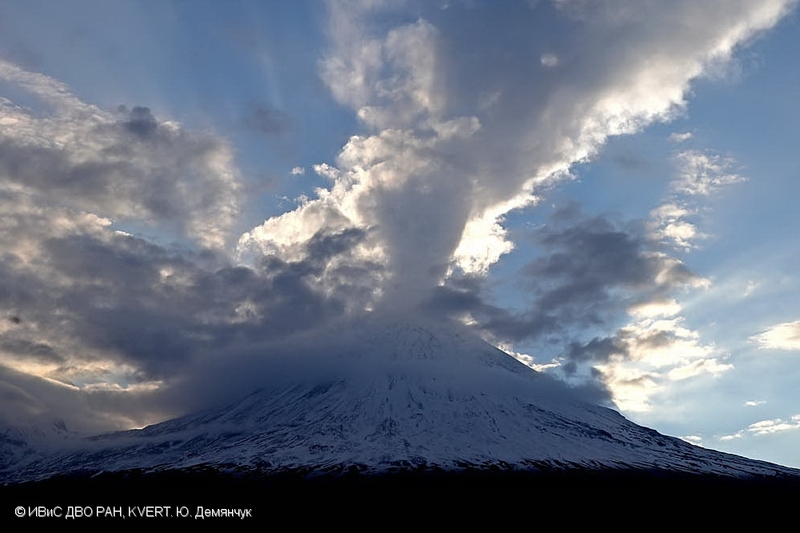 The powerful explosive eruption of Sheveluch volcano began at 1625 UTC on 14 June, 2017. 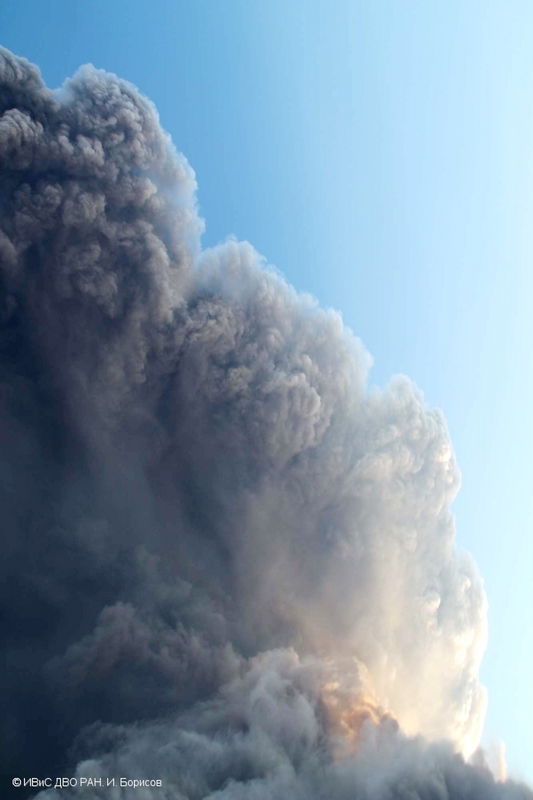 A giant ash cloud continues to be observed over the volcano about 7 hours after the eruption beginning. 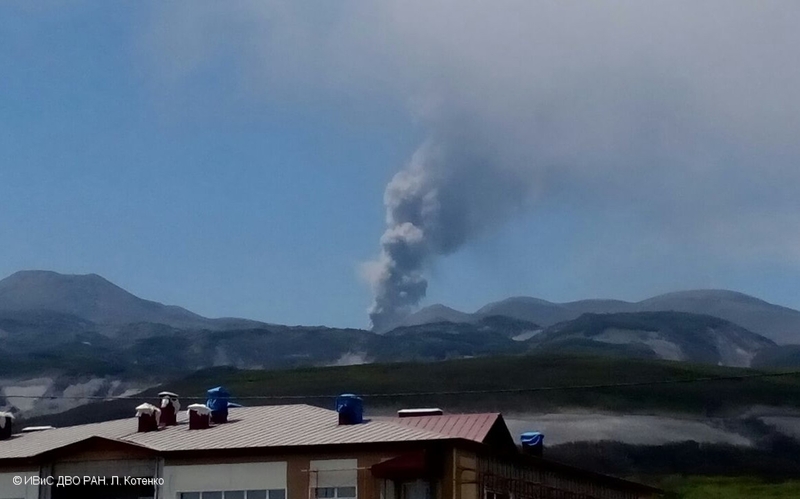 The edge of the ash column above Sheveluch volcano on 14 June, 2017. 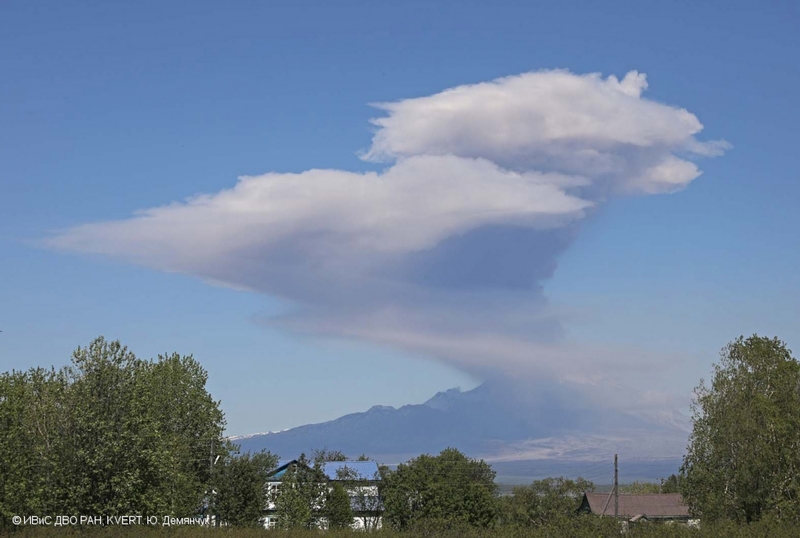 Ash column of Sheveluch volcano on 14 June, 2017. 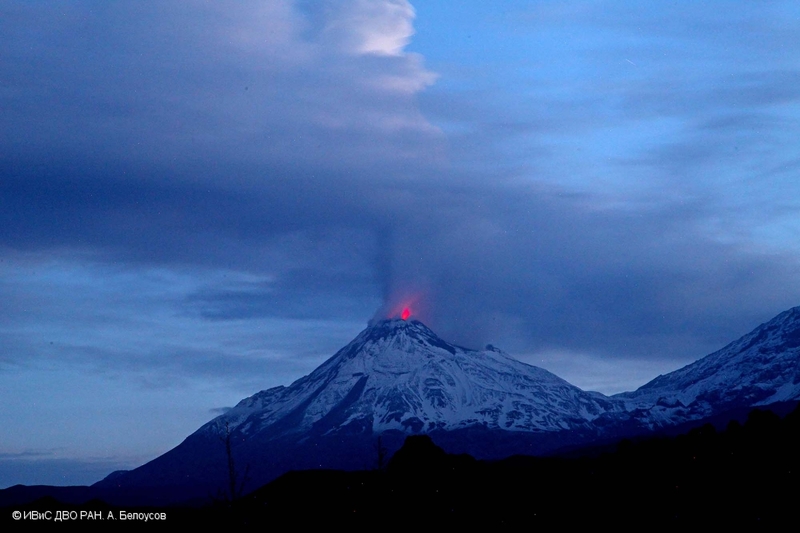 View from camp for about 15 km to the south-west from the volcano. 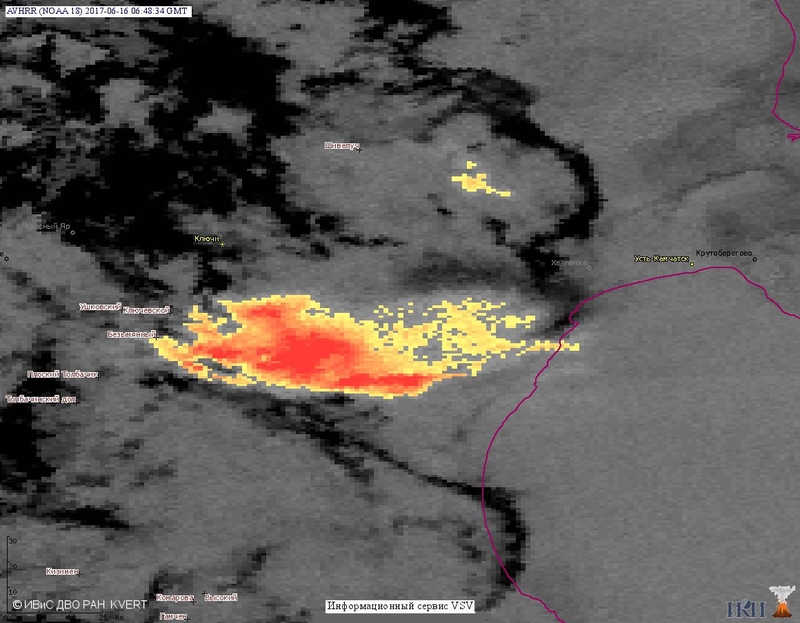 Explosive event up to 8 km a.s.l. 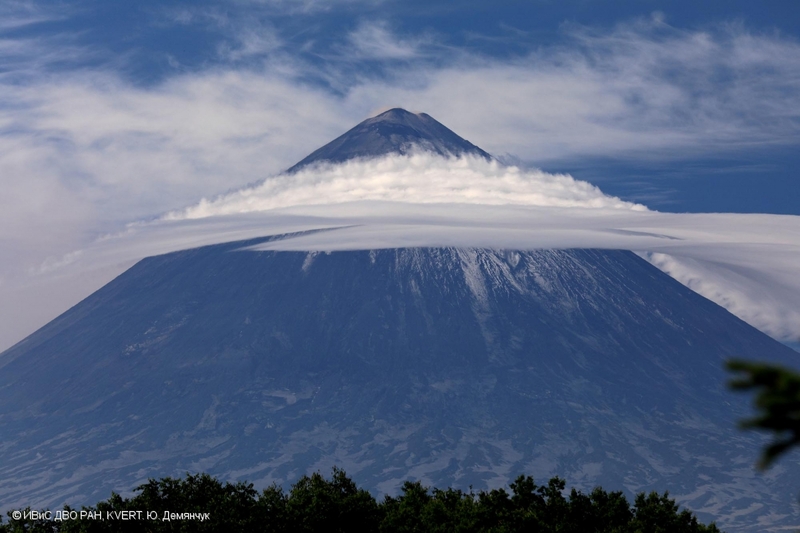 from Sheveluch volcano. View from F.Yu. 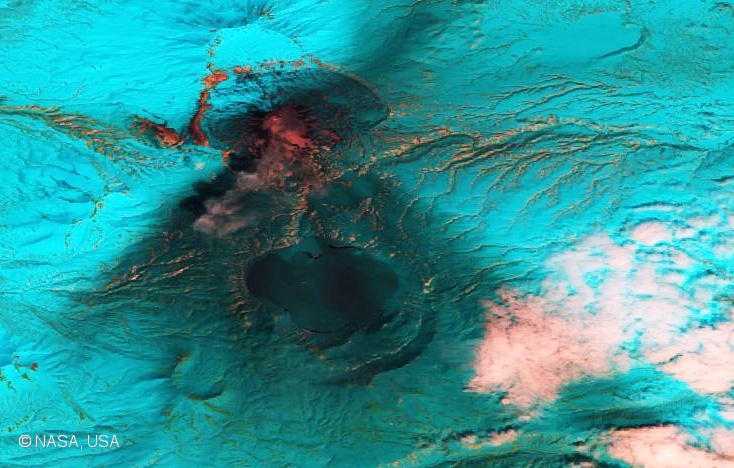 Levinson-Lessing Kamchatkan Volcanological Station. Ash deposits on the snow in the area of Karymsky volcano on 09 June, 2017. 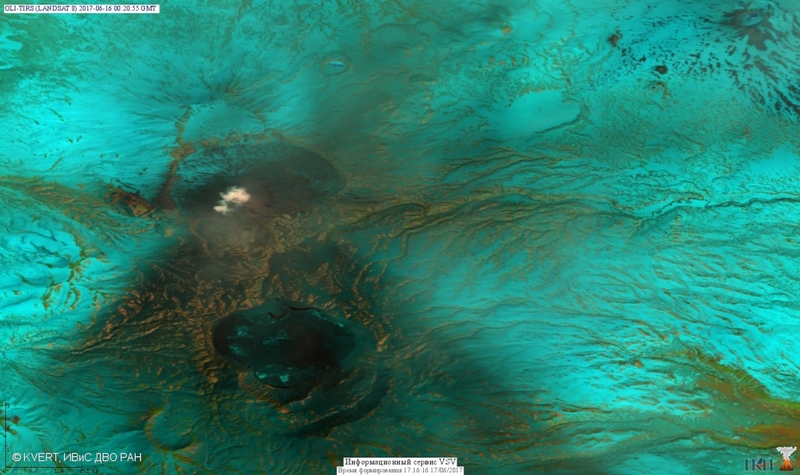 Satellite image of Landsat, NASA, USA. 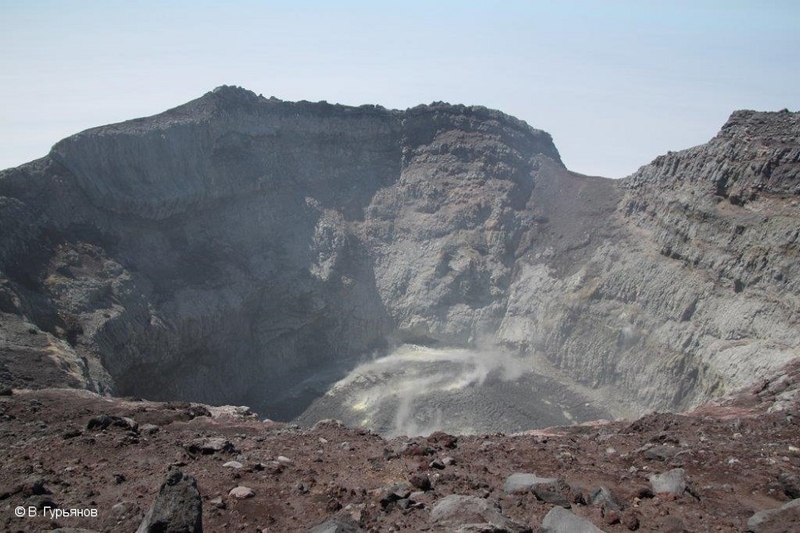 Ash burst from Active crater of Ebeko volcano on 06 June, 2017. 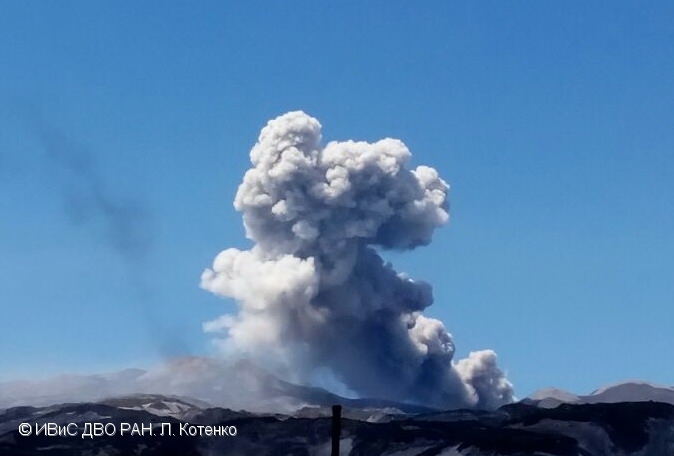 Pyroclastic flow on the southern flank of Sheveluch volcano on 03 June, 2017.